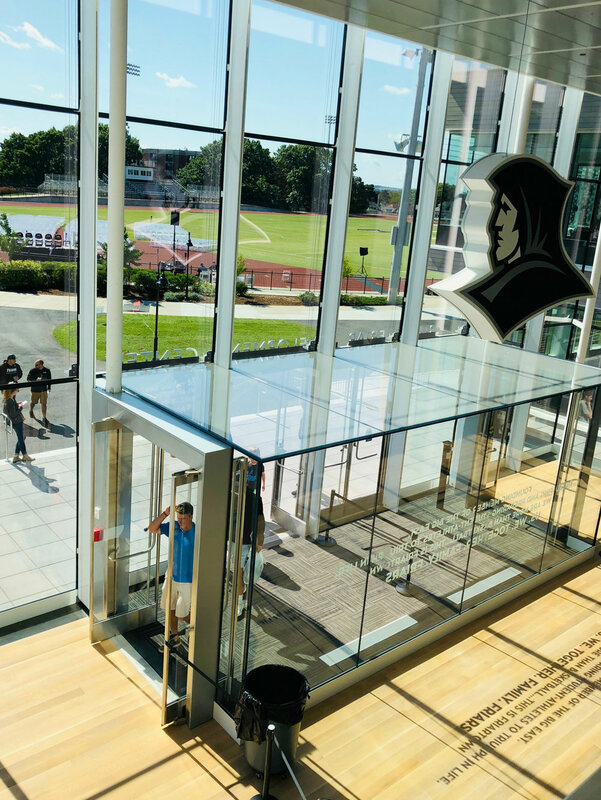 The recently completed Ruane Friar Development Center at Providence College utilizes VS1 system for the exterior façade, and highlights the system’s flexibility. VS1 mullions are being used on the interior in some locations, and on the exterior in other areas. In one section, exterior-facing mullions are offset 12” from the mullion. The exterior mullions are also used to mount sunshade units. A self-supported glass cube vestibule projects 10’ into the building off a 30’-tall VS1 wall. Finally, VS1 is also used as a skylight.